Curing your own corned beef at home is easier than you might think. It basically involves soaking a brisket of beef in a brine for several days. You're essentially pickling the meat. If you have a marinade injector you can pump some brine directly into the meat for even more flavor. A five-pound brisket of beef, with fat trimmed to about ¼ inch. In a gallon of cold water, combine the Kosher salt, Prague powder, and sugar. Stir until dissolved. Using a marinade injector, pump about 10 ounces of the brine into the beef brisket. Inject the brine at various locations evenly spaced around the brisket. Add the pickling spices, garlic, bay leaves and optional chili peppers to the remaining brine liquid. Transfer the brine into a shallow nonreactive (i.e. stainless steel or glass) container and then add the brisket. You can weigh it down with a dish to keep it submerged. Cover with plastic and refrigerate for 5 days. 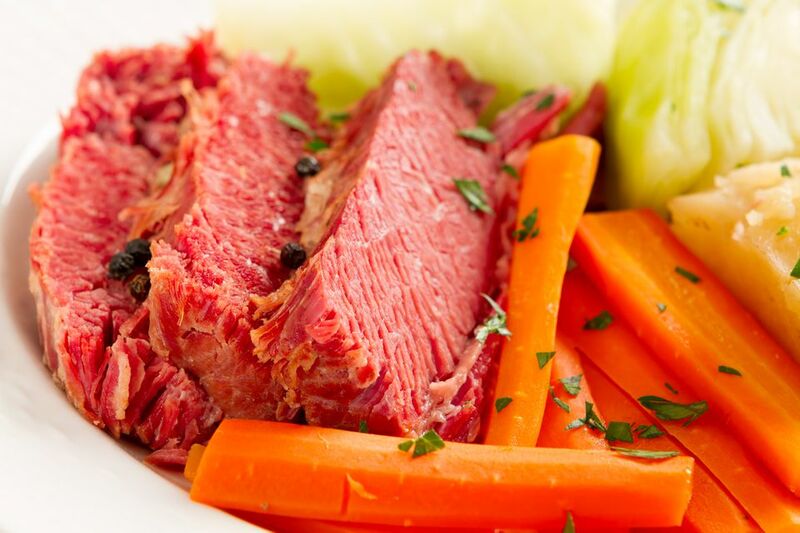 Now, it's time to cook your corned beef. What Do USDA Beef Grades Mean?